Introduction: Laparoscopy is the standard of care for many basic general surgical procedures. Simulators have been developed to train surgical residents in laparoscopy; but there is no standard curriculum that has clearly shown a translational benefit in the operating room. Small studies have shown that Fundamentals of Laparoscopic Surgery (FLS) skills performance score predicts intraoperative laparoscopic skill. 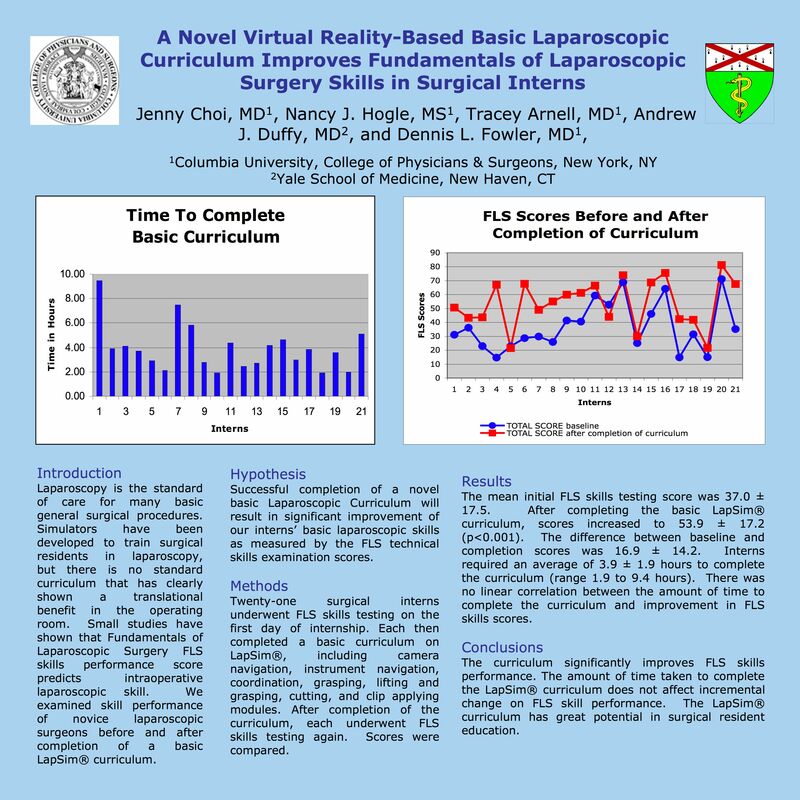 We examined skill performance of novice laparoscopic surgeons before and after completion of a novel basic LapSim® curriculum. Methods: Twenty-one surgical interns underwent FLS skills testing on the first day of internship. Each then completed our novel basic curriculum on LapSim®, including camera navigation, instrument navigation, coordination, grasping, lifting and grasping, cutting, and clip applying modules. After completion of the curriculum, each underwent FLS skills testing again. Scores were compared. No intern participated in any laparoscopic cases during the duration of the study.